I'm taking a day to create a special post for my mother-in-law. She has never been a fan of Halloween (one of my favorite holidays) because her birthday was always over shadowed by the day of the dead. I thought it might be a nice thing to give her top billing today. For the rest of you out there... Happy Halloween! Have a safe and fun time. Duality was scheduled to release to Amazon on Friday, October 29th. This blog post was scheduled before the release date and links were not yet available. You can use the search box below to find the newly released Duality. The day comes when, in a fit of anger, Kurt kills a man. In his attempt to flee, his tumultuous life comes to an abrupt end. For some, death is a blessing, but for Kurt, death is a name, or more specifically, his new name: Gavril--Satan's newest demon servant. Though his life was filled with pain, his death is tormented with the memories of the destruction his days above Hell purchased. Having successfully harvested the sould he's desired, Satan sees him as an easy mark; however, he's not counting on the fact that Gavril retains his faith. Even among the damned, Gavril knows that there is only one name that matters in both Heaven and Hell, but is his enduring faith, combined with the love of his children, enough to save him? "At the risk of "creeping you out," to borrow from the parlance of my 12-year-old son, I have a confession to make. When his older sisters were teenagers, I used to actually read the latest issues of YM and Sassy when they came into the house, initially because I figured that part of my job as a Dad was to kind of be inside their heads enough to know what the challenges and dangers were. Then I branched out a bit and started reading the fiction that they were reading. Not so much the things they had to read for school, but the things they read on their own. One of the things that I discovered in the process, and it is something that I still believe, is that some of the best writing for adults is fiction that may actually be intended for teens. Some of the walls come down, the imagination is set free, and a sense of wonder is unleashed. Or, in the case of a dystopian novel like the one that Danny and I are reading together as a bedtime story just now, an essential sense of hope against an unutterably gloomy backdrop. I had a point here that relates back to the undiscovered, highly original 99-cent gem that is today's sponsoring novel, and here it is: you don't have to be a teenager to read, enjoy, and even recommend a book like J.M. Pierce's Failing Test. 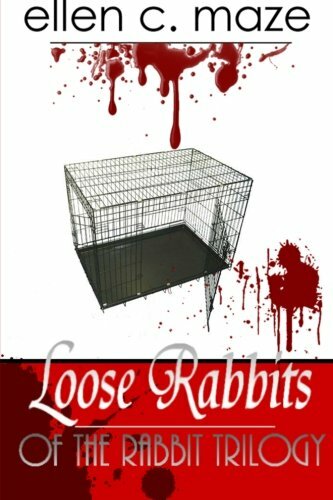 Don't read it because it only costs 99 cents or because 15 of its 18 reviewers gave it 5 stars. Read it because there are teenagers in your life and it may be a gateway not only to getting them reading but also to your ability to connect with them and learn something about their worlds. Just a thought. --S.W.)" The story of Test Davis pulled me in right away. I became absorbed into what was going on with him, would he wind up with Nicole, would he and his mother mend their tenuous relationship? To be honest the book was a little heavy on the description, which made it somewhat long as well. I was grateful that the story was as strong as it was. The character of Cliff, who comes towards the later portion of the book was fantastic. Overall, I enjoyed it and would give it 3 swaks. 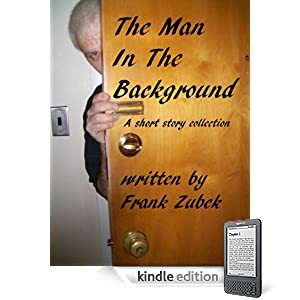 The Man In The Background by Frank Zubek, a 70 page collection, is up for grabs (free). All you need to do is email Frank Zubek at frank.zubek@yahoo.com and let him know you'd like your free copy. Please specify whether or not you prefer the manuscript be an attachment or directly copy and pasted onto the email. Please note: All copyright laws in the USA apply. What is the name of the song Phil whistles as he walks back to his car? Offer good until October 31st. Neil Crabtree is offering 2 free eBooks at the Barnes&Noble eBookstore. Click here to get your free copy of The Dead Mayberrys And Other Stories! Click here to get your free copy of The Big Kaboom! Follow Khelsea's blog to find out more! This contest ends October 31st. 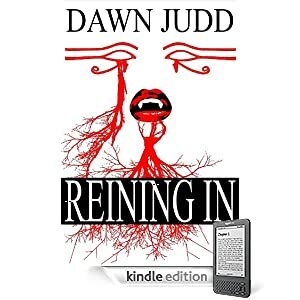 Reining In by Dawn Judd was one of the first Indie titles I picked up after getting my Kindle. I think I paid 99¢ but the current price is $2.99 and it's possible I paid $2.99. Either way, the price is worth it. I was immediately drawn into the world Dawn Judd has created for her 5000 year-old vampire, Khalida. I would recommend this one for a quick and exciting read. The book is meant to be the first in a series and I'm looking forward to reading the next installment - Phantom Rising. Phantom Rising, the second book about Khalida and her network, is scheduled to be released by Halloween of this year. I'm counting the days! After witnessing the murder of one of her dearest friends, Khalida finds herself caught between doing what she knows is right and letting go of her past. With the help of the Network, an organization created to keep her secrets buried, Khalida will battle enemies as old as time. But will the secrets of her past destroy everything she knows and loves? Soon, another friend is facing his death, and she will have to save him. Others will follow, and she will have to make the hardest decision of her life. There is only one way to save her friends from this enemy. As she races against time, Khalida will learn that sometimes your past comes back to haunt you, even when you are a vampire. As I said earlier, Phantom Rising is scheduled to release for the Kindle on Halloween. Also, the paperback version is tentatively scheduled for the same release date. I'm not sure what the prices will be for either version, but it is still on my To Buy List. With Jake gone, and a feeling of constant guilt over being forced to kill Vyktor, Khalida has spiraled into a deep depression. Everything she has worked so hard for is now gone. With only Mack and Darren at her side, Khalida must find a new reason for living. When she discovers a secret Vyktor was keeping from her, she begins to see a light at the end of the tunnel; a chance for redemption. I apologize for not having links to Phantom Rising. As soon as they become available I will post them to the side bar of my blog. If you were sent out into the world to learn of its evil, what would you expect to find? In book two of the Powerless series, Mira and her friends must endure a period of apprenticeship, known as The Shadowing. This is their last chance to prepare themselves before they are thrust into the mysterious war, which no one seems to know anything about. While Vern, Aoi, Will, and Roselyn seek out pre-arranged mentors to help them develop their unique magical abilities, Mira—the only one without a power—sets off in search of the brilliant author of her science manuals, Flip Widget, who she learns was the doctor at her birth. For all they have to fear that waits for them in the future, they will find that the troubles they prepare for are much closer at hand than they think. Powerless: The Shadowing is approximately 84,000 words long. 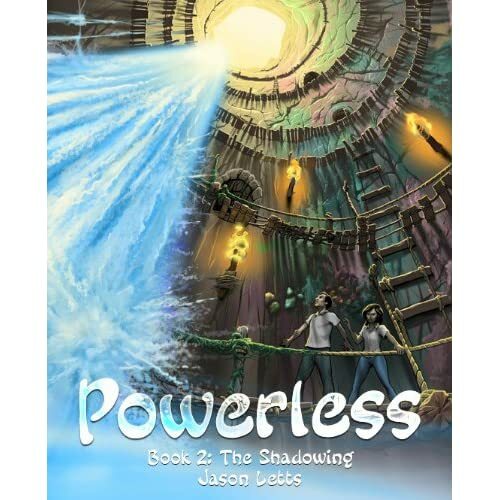 "Author Jason Letts takes young adult literature to a whole new level in his second installment of the Powerless series entitled "The Shadowing." The second book doesn't miss a beat, seamlessly picking up where the first book left off..."
"Jason Letts is back with book two in his Powerless series: The Shadowing, and he has ratcheted up the tension, the action, and the excitement. Here in book two, I felt the characters really start to develop -- the changes in the characters are both fundamental and believable, pulling me still further into the rich compelling story." "I really enjoyed this book. I cold not put it down. I liked the theory about the Tempest. I hope to hear more from this author. 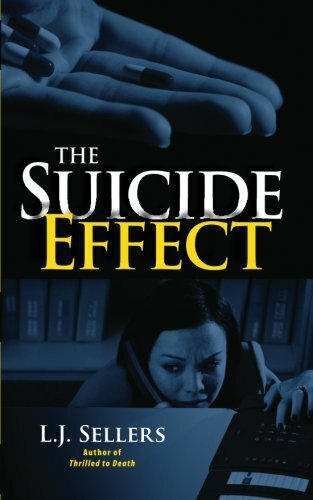 I would reccomend this book to Young adult and adult readers. First we have Janelle who you can't help but root for. She moves to Florida and all of a sudden she is very strong and strange things are happening to her when she touches ocean water. She has a birth right that her mother expects her to follow through with but she does not want to. When she moves to Flordia it happens to be during Hurricane Gary. Then we meet Gary who lives with his Guardian. He is sixteen. And happens to come out of the eye of the Hurricane. He ends up in a hospital and on the run from his guardian. Where he seems to run into Janelle alot. This story has love, action, adventure. Alittle bit of everything. I could not get the story out of my mind when I was not reading it. I hope to see a sequel in the future." "Tempest by Holly Hook is a suspensful tale of a young girls journey of self-exploration and identity brought on by a secret that has been withheld from her all her life. Everything she thought she knew was a lie and it has left her questioning who she really is and just what she is really capable of. Janelle Duvall has lived a somewhat normal life in Flint, Michigan. When economic times go bad, her father moves her to Florida where they settle in just as Hurricane Gary makes its way through. Janelle has noticed that her father has been behaving strangely in the week they've been in Florida, for instance, as the wind and rain howled outside their house during the hurricane, Janelle begged to go to the shelter but her father remained strangely calm, happy even. It wasn't until the police forced them to go to the local high school shelter that he gave in and went. It's there were she meets Gary, a boy who seems to literally appear out of a water vortex in the parking lot. The strange thing is he has the same birthmark that Janelle has. Not just similar, but identical! The birthmark, oddly enough looks like a swirling hurricane. It's this meeting that sets Janelle on her journey to find out who she really is and just why her father is acting so whacked out! A journey that is rich with nail biting action, suspense and edge of your seat anticipation. The ending is incredibly satisfying yet leaves room for a possible sequel. You'll have to read the book to find out more and I guarantee you will be enthralled. Janelle and the supporting characters are believable and real. 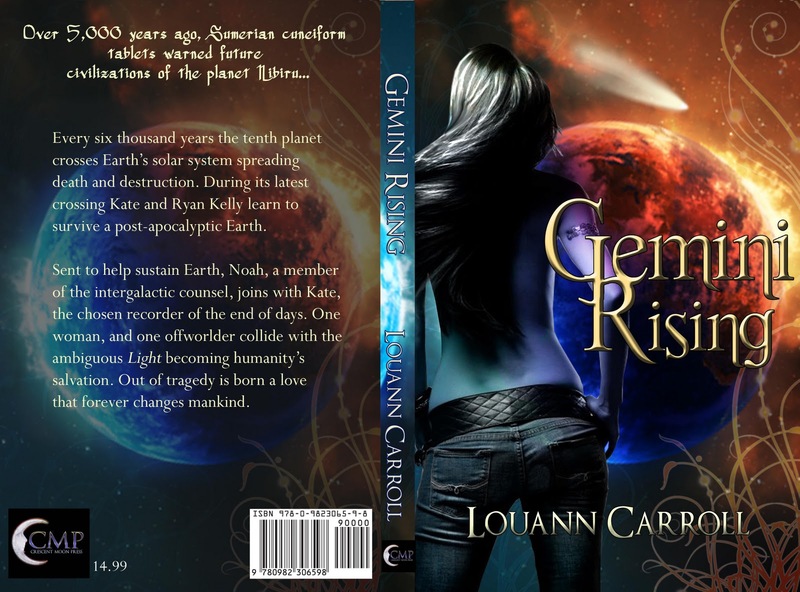 The story itself is fascinating and brings a new element to the young adult paranormal genre." What happens when a child’s innocence & trust gets taken away by someone they love? After years of abuse, Sydney Venery finally escapes. With no one else offering to help around her, she accepts the assistance from a kind stranger by the name of Irene. After a frightening attack it is another stranger that comes to her rescue, Ian, who charges in to save her like a knight in shining armor. With the help of Ian & Irene, Sydney slowly begins the healing process & moves forward with her life; raising her child, attending school & accepting that what has happened to her isn’t her fault. Learning to love & trust again isn’t easy, but it is with The Kindness of Strangers that she learns to get by. Accompany Mira as her attempts to fit in among peers and understand her inconceivable condition embroil her with the dangerous forces threatening her homeland. Protected by nothing more than her imagination and ingenuity, you’ll never find a superhero more like you. Take your typical fantasy novel -- where the hero discovers she has mystical powers and must save the world -- and turn it on its head. With "Powerless" the author has created compelling characters and a fascinating setting with a twist: the main character is the only person without a special power! In a world where every person has an extra ability of some sort, Mira is exceptional in that she has none. I could not stop reading this book. The story pulled me in and kept me riveted right through to the end. Jason Letts does a fantastic job of introducing new mysteries and challenges while keeping the characters and their interactions believable. I particularly enjoyed how the story began with Mira's entire world limited to her parents' house and the surrounding yard. Then throughout the story the camera pulls back to reveal more and more of the world and its intricacies. I'm waiting impatiently for book two! If you're looking for something different, or if you're just looking for a great story with interesting characters I highly recommend this book. 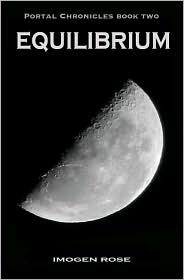 EQUILIBRIUM is book two of the Portal Chronicles.